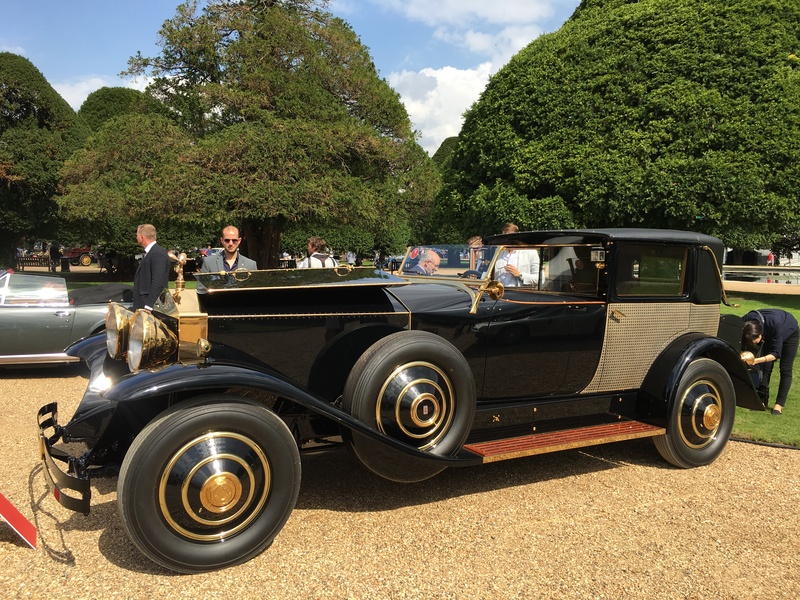 What a great event the 2018 Concours of Elegance was AGAIN. 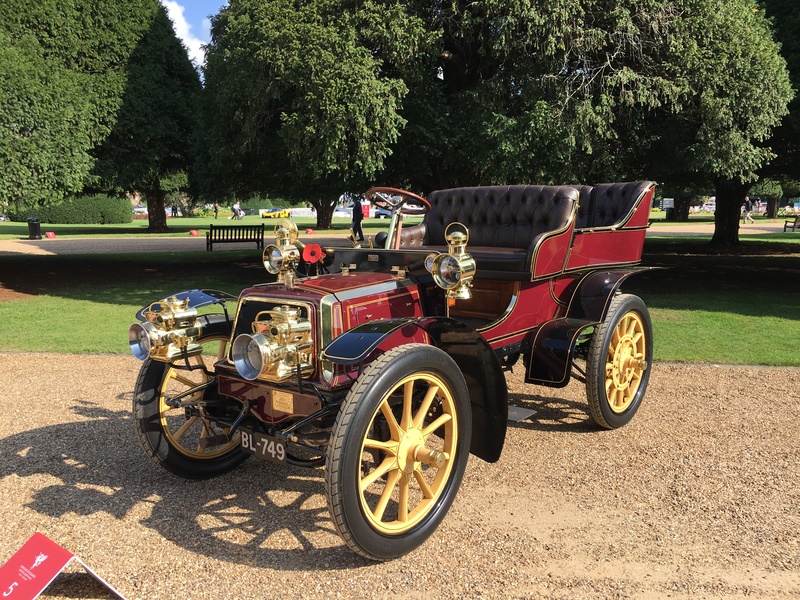 For the second consecutive year this wonderful event was held at Hampton Court Palace and with 100s of beautiful cars, classic cars, a few supercars, hypercars and racing cars, it really was My Car Heaven. 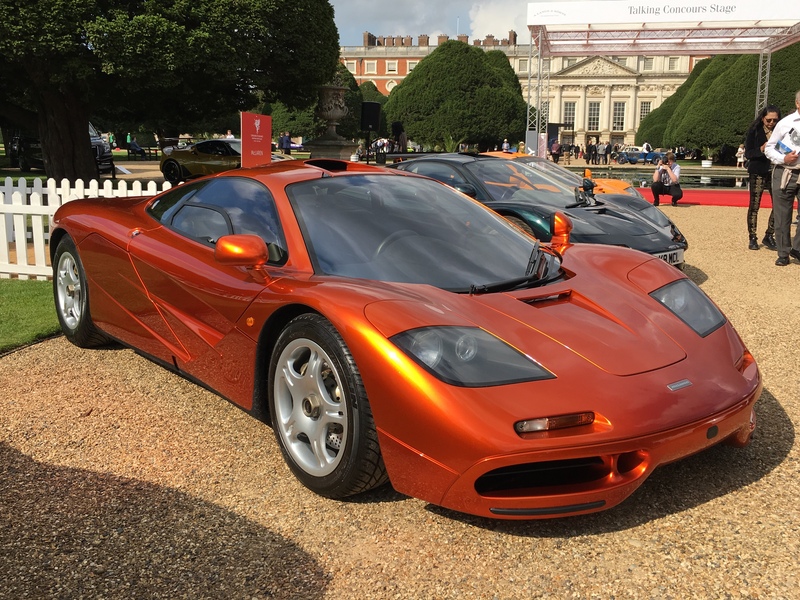 As hard (almost impossible) as it is, we’ve narrowed those cars down to our top 10 (and a few other more) from the event. 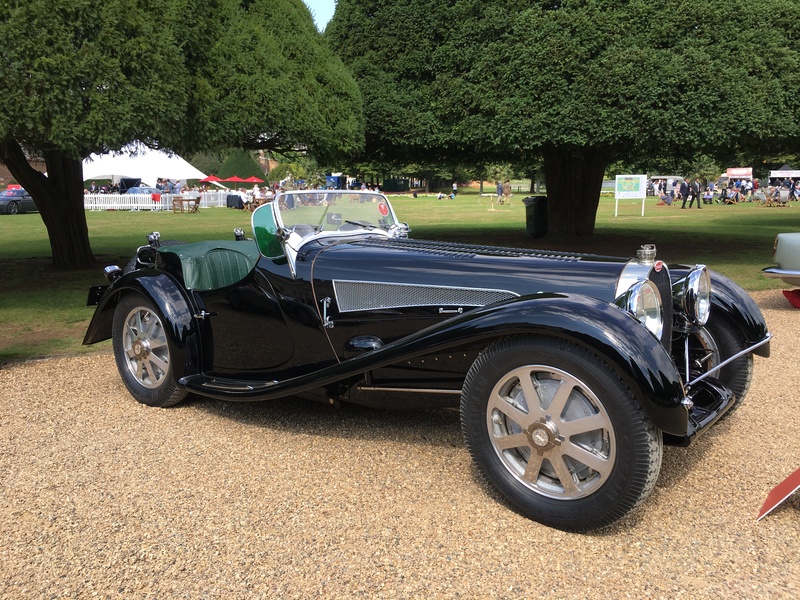 No doubt we’ll have missed a few cars that you like, and if you attended let us know what cars really did capture your attention. All our photos can be seen on our Facebook album, but you can get real-time photos when we are at events like this by following us on Instagram, Twitter or Facebook. 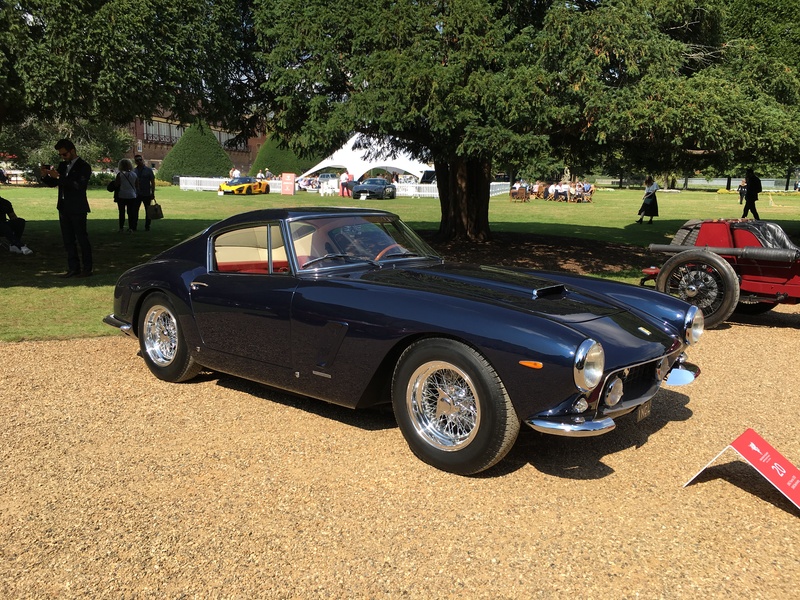 A Ferrari and Scaglietti masterpeice. For us one if not the most beautiful car ever made. Stunning. 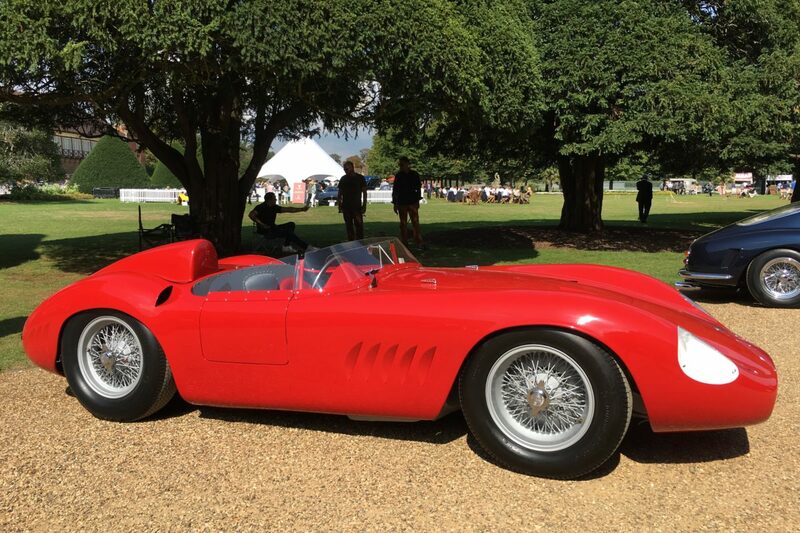 This is one of only 26 300S World Sportscar Championship cars built between 1955 and 1958. 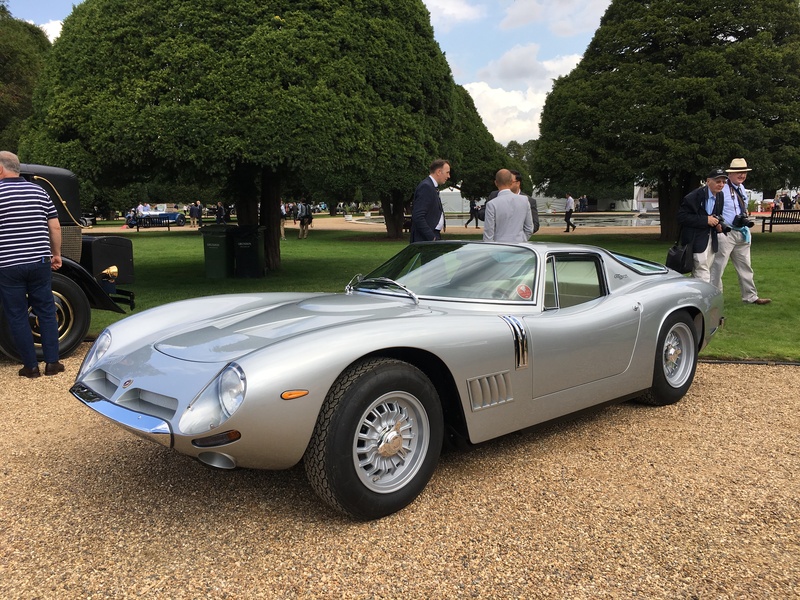 This is the very one that as a works car was driven by Stirling Moss with great success in 1958, including victory at the Kanonlopper sports-car race in Sweden. Absolute show stopper, with all the brightwork gold plated. First time ever in the UK. Stunning in every possible way. 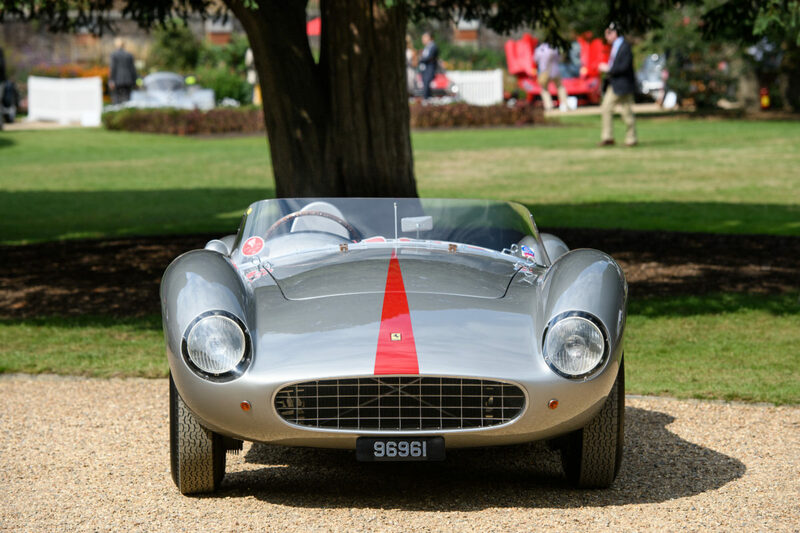 A beautiful racing car by Ferrari. 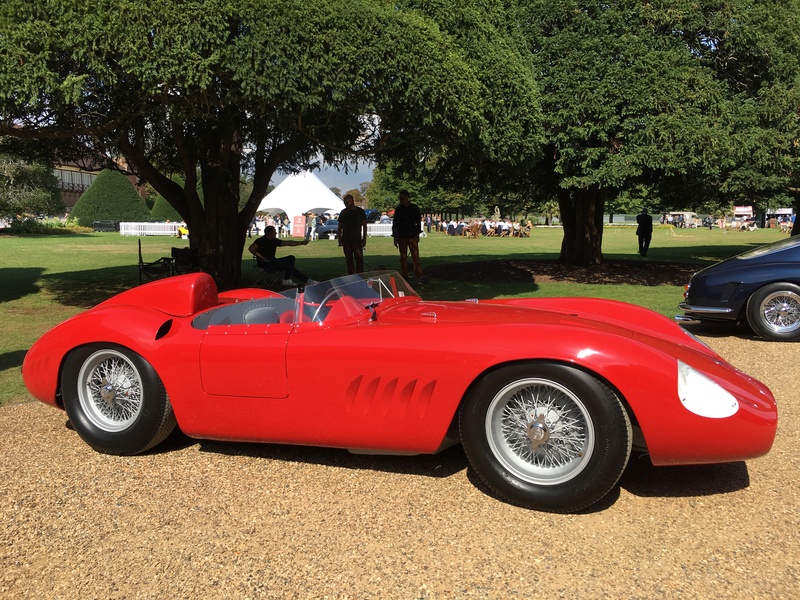 Some would say the most beautiful racing car ever built by Ferrari. 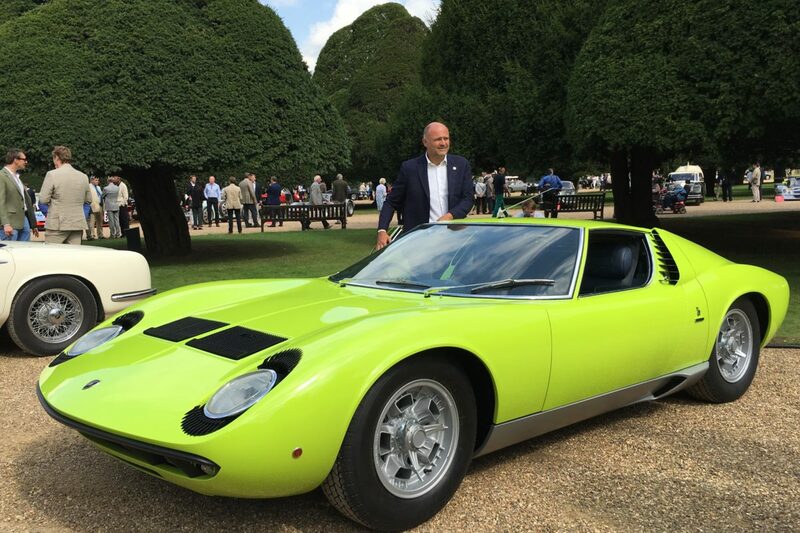 This Miura is exceptionally beautiful and restored to better than new. 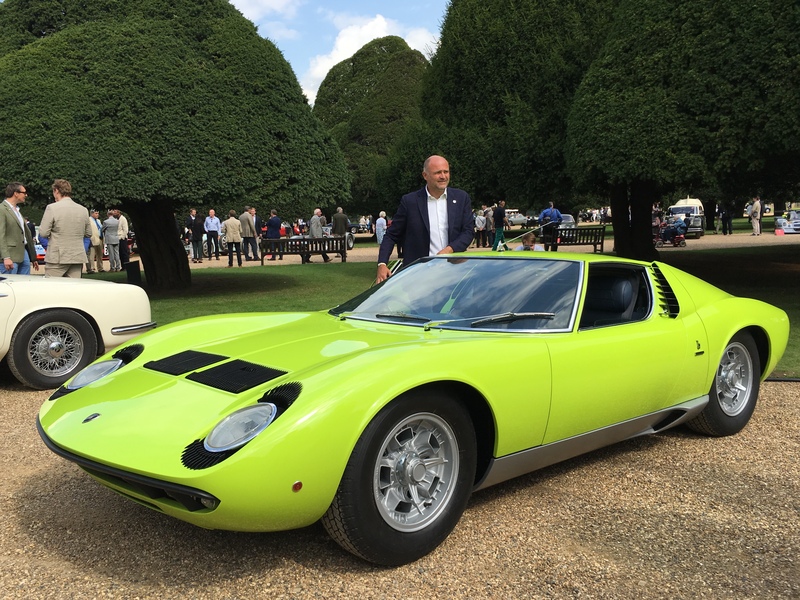 We particularly love the colour, a real old school and true Lamborghini colour, outrageous and in your face. The colour is Yquem. 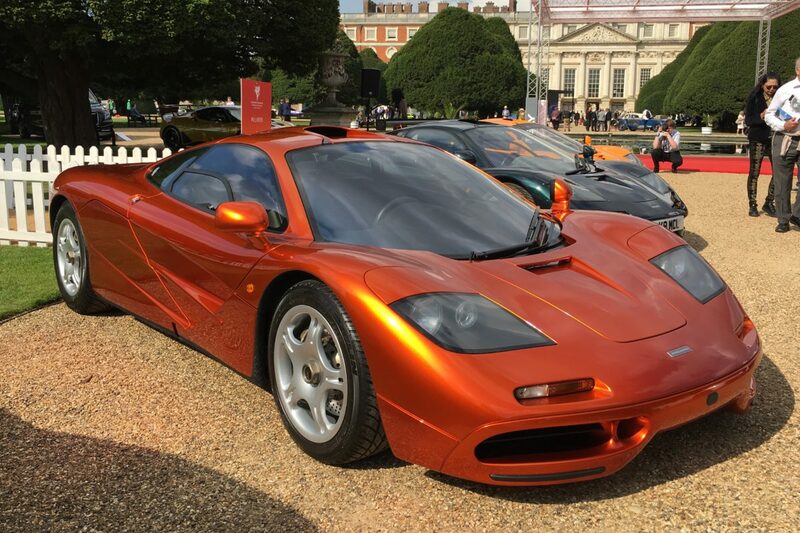 This is only McLaren F1 in this colour and this is the last F1 built. How cool is that? Super cool and beautiful looking. 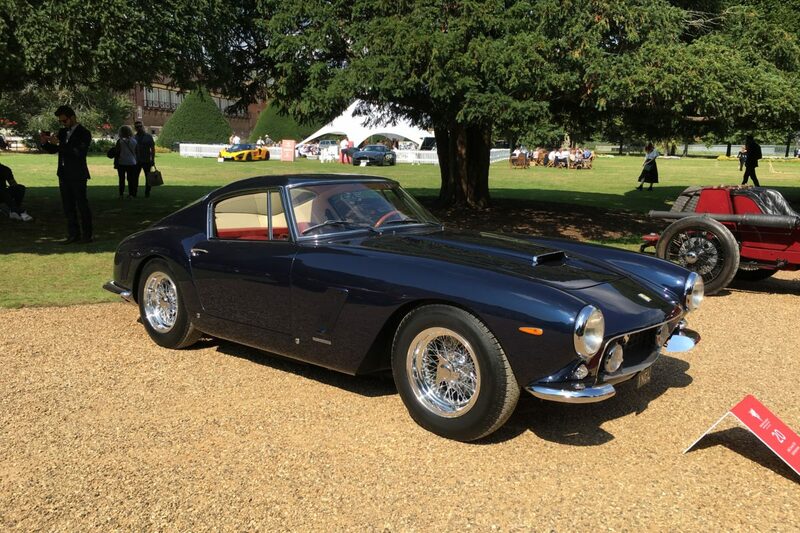 One of the most beautiful Ferraris made of all time. 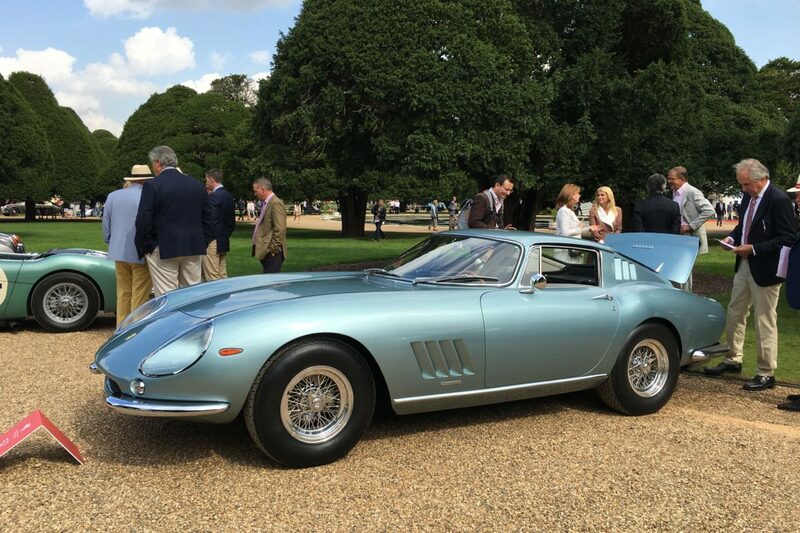 This car is in Celeste Blue, styled by Pininfarina and built by Scaglietti. 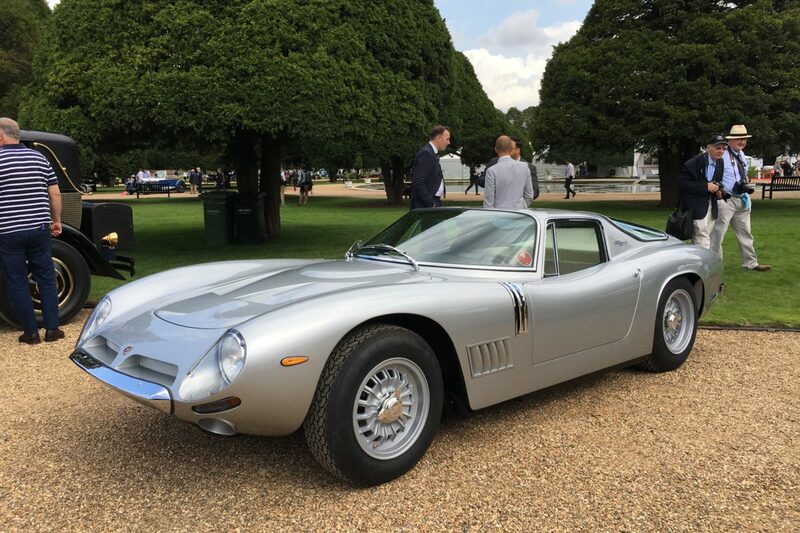 This particular car is 1 of only 25 alloy GTBs. How cool is this? 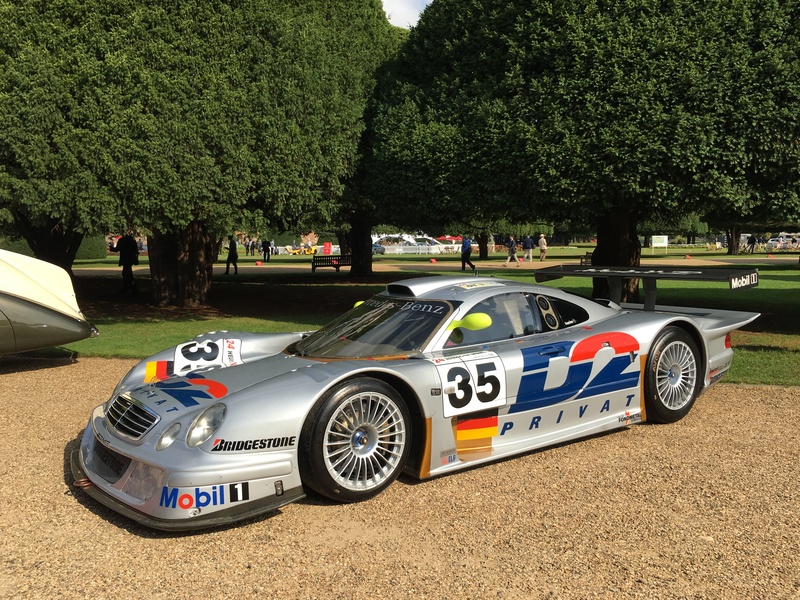 The road car that became a racer, and won Le Mans outright. This car looks better than new. Amazing condition and absolutely stunning. A firm favourite of ours. Stunning, and beautiful in every way. I love these old cars with all their bright work. Just looks so cool. 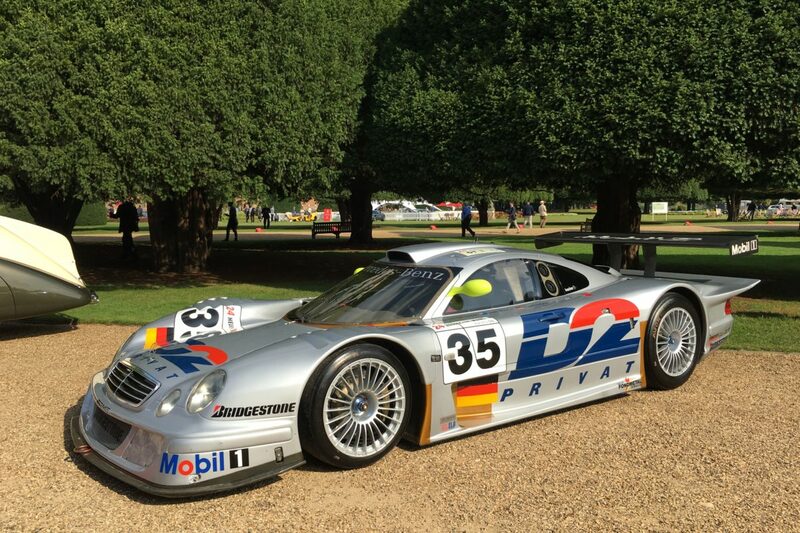 One of only 4 built.Is this the coolest Mercedes-Benz ever? This is just a stunning car. 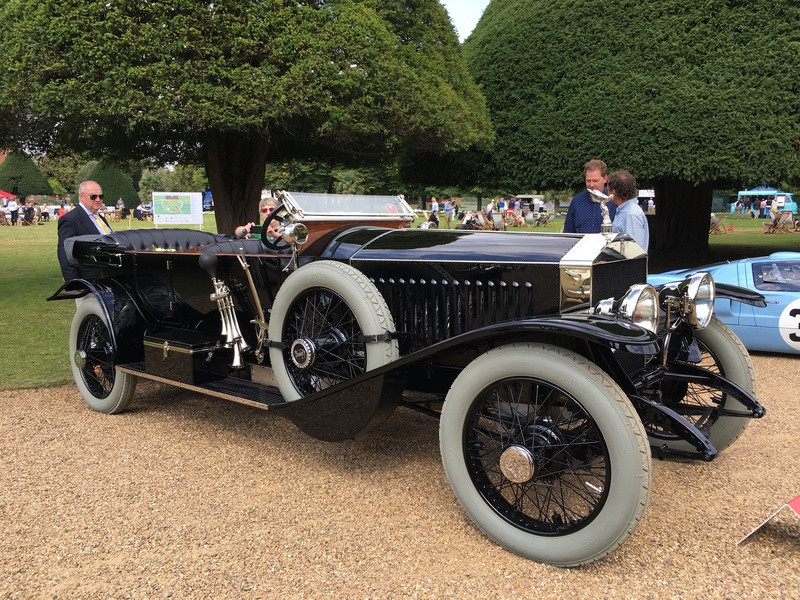 This Silver Ghost was described in 1911 by the Pall mall Gazette as ‘the best car in the world’ and close up I can see why. Gorgeous. 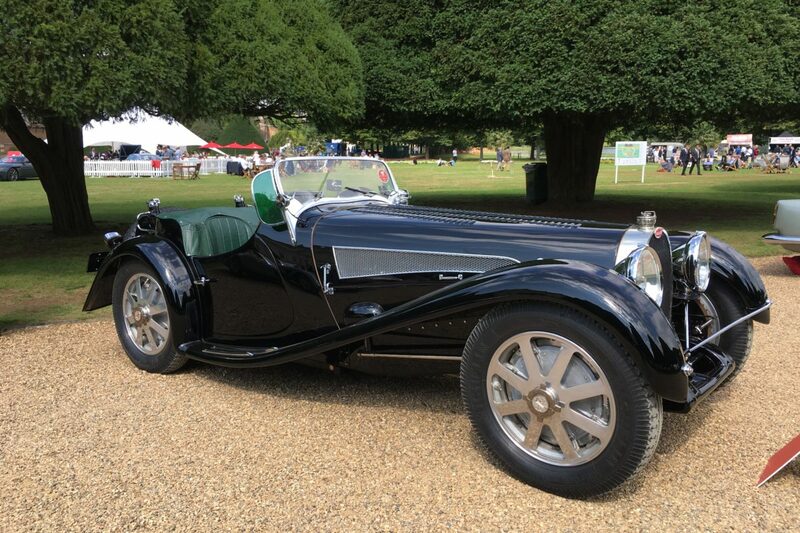 What’s not to love about this wonderful Bugatti. What’s not to love, and love absolutely? 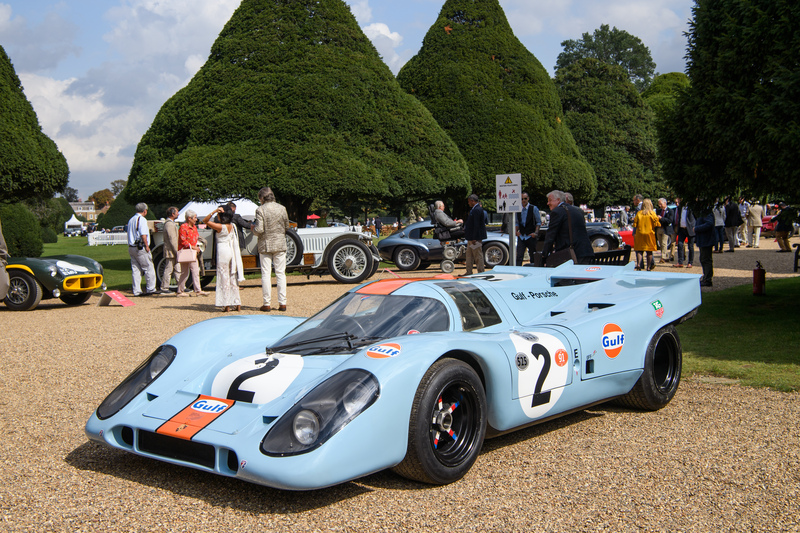 The Porsche 917 has been voted the greatest racing car of all time by a panel of eminent motoring journalists and racing drivers, and this is probably the most famous of them all. This actual car is the one that featured in the 1971 film Le Mans, starring Mr Cool himself, Steve McQueen. Last year’s Club Trophy winner, and still looks as gorgeous as ever. 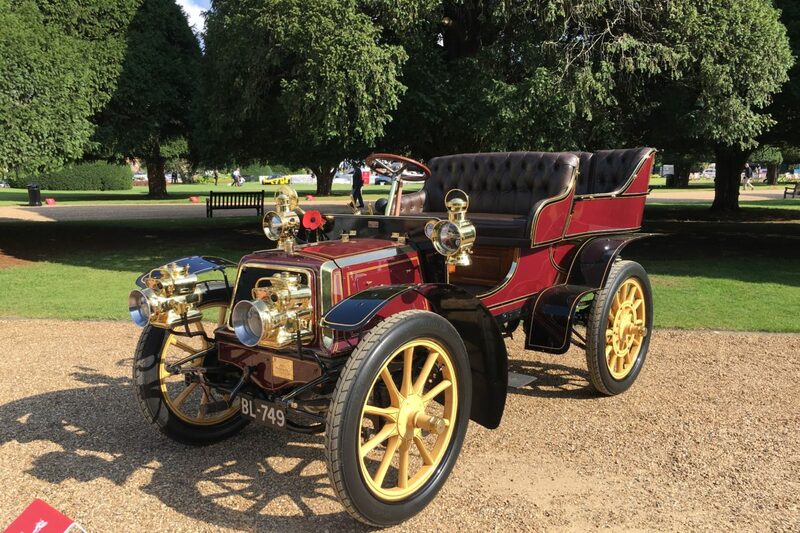 A future classic car for sure. The level of detail and craftmanship is exceptional. 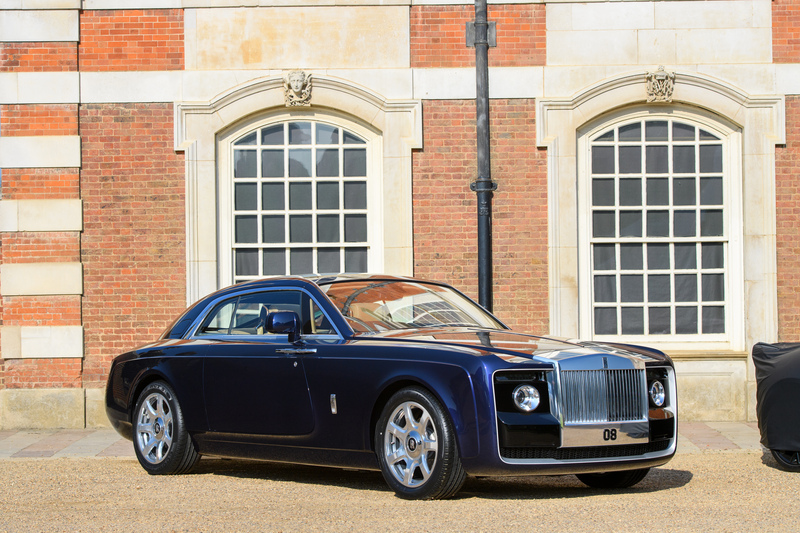 This car was first revealed on the shores of Lake Como in May 2017, Sweptail heralded a remarkable milestone for the iconic British marque Rolls-Royce. 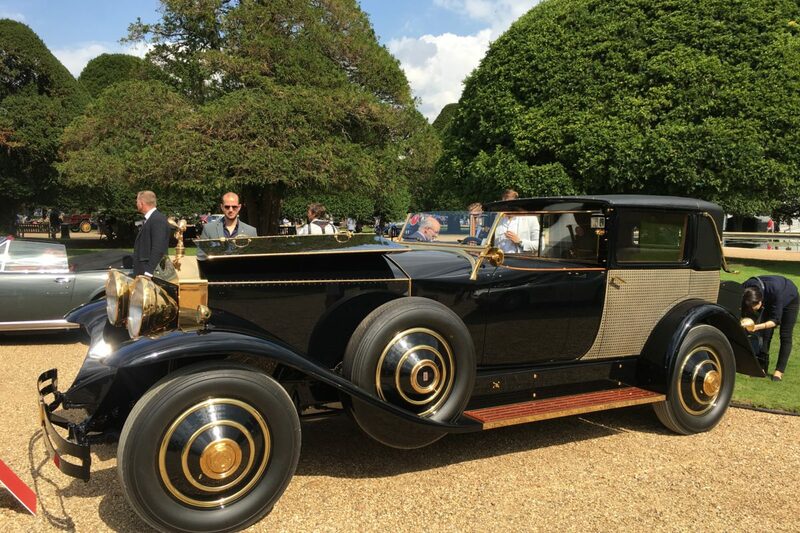 This most striking motorcar was commissioned by one of the world’s foremost exotic automobile collectors and made history in being the first in-house designed and fully coachbuilt Rolls-Royce in over half a century. 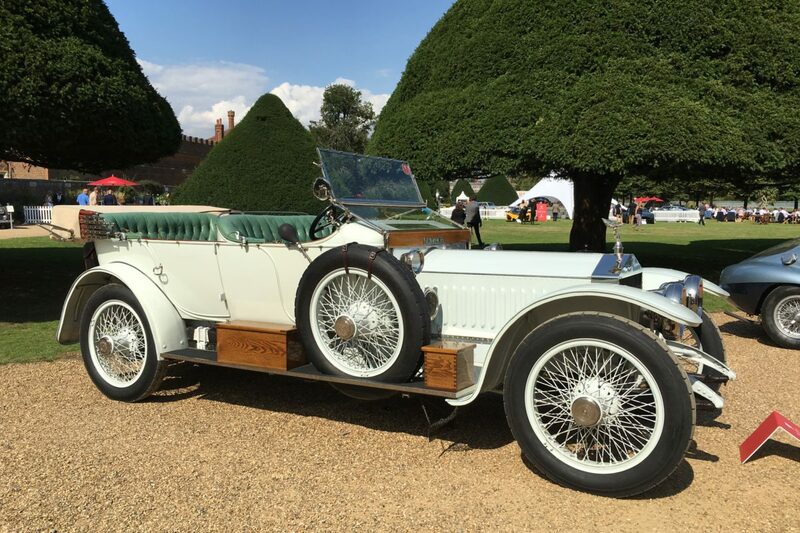 It is also one of the very few two seater Rolls-Royces to have ever been created by the marque since its inception in 1904. Sweptail’s wonderful sense of occasion, enhanced by the owner’s personal attention to detail, is perhaps best demonstrated by the secret “his and hers” attaché cases that deploy on command from the B pillars and to cap it all, a centre console that effortlessly deploys the owner’s favourite Dom Perignon vintage Champagne, chilled, along with two fine cut crystal flutes. 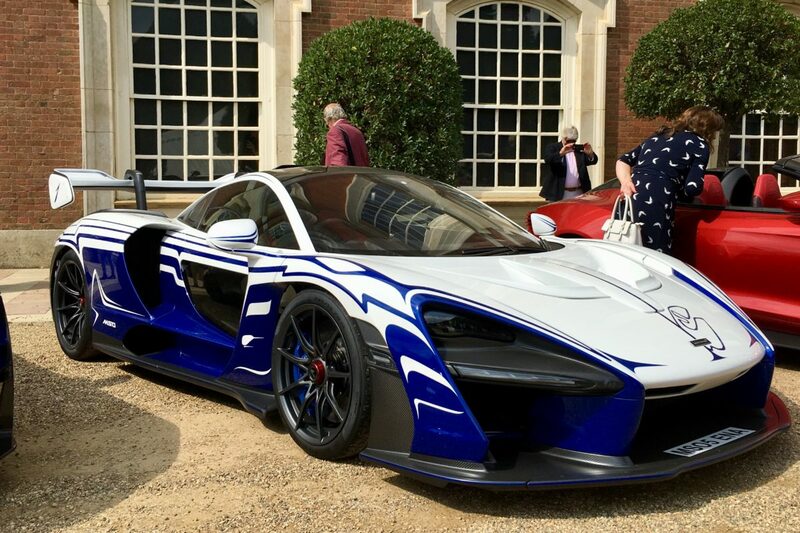 Here is the very first McLaren Senna to leave the McLaren Technical Centre in Woking. 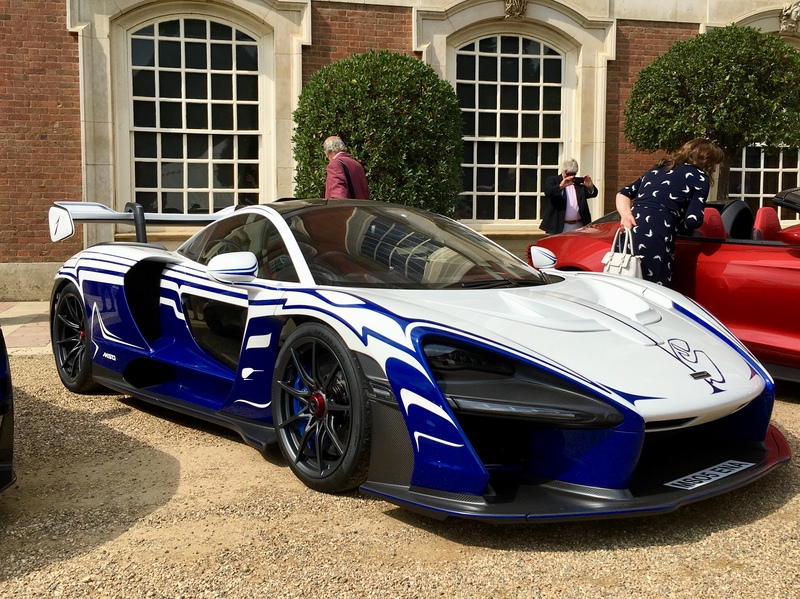 Only 500 Sennas will be built, but this car is finished in a totally unique ‘MSO Aurora Blue’ and MSO ‘Anniversary White’ paintjob that took the team at McLaren Special Operations more than 600 hours to complete. 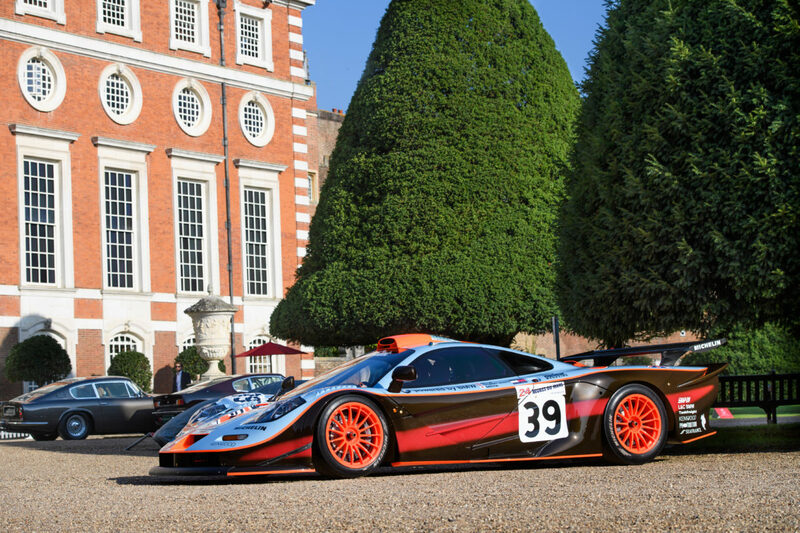 Powering this unique Senna is McLaren’s twin-turbocharged 4.0-litre V8, producing 789bhp and 590lb-ft of torque. Looks great doesn’t it. Joining the Sweptail in the future classics was a car that is the product of one of the oldest partnerships in automotive design history; Aston Martin and Zagato. 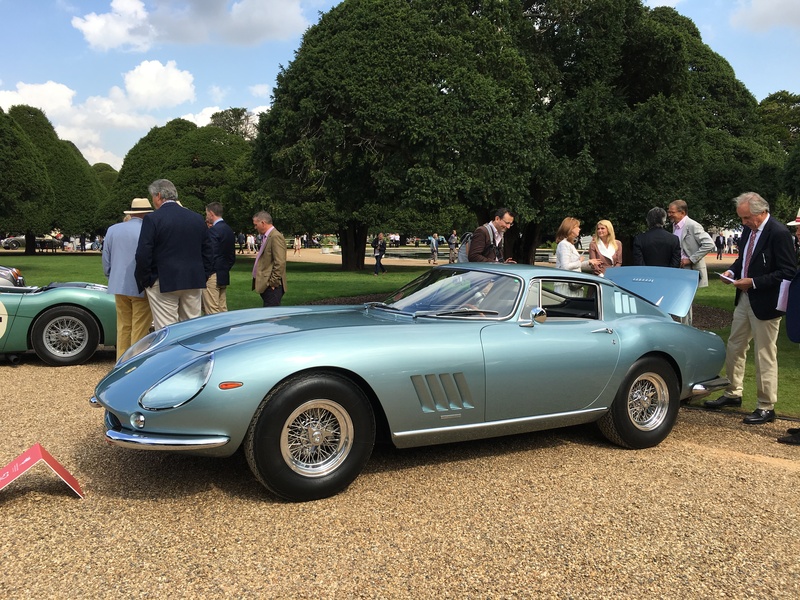 this relationship stretches back more than six decades, kicked off by the gorgeous DB4 GT Zagato, and is still flourishing to this day. 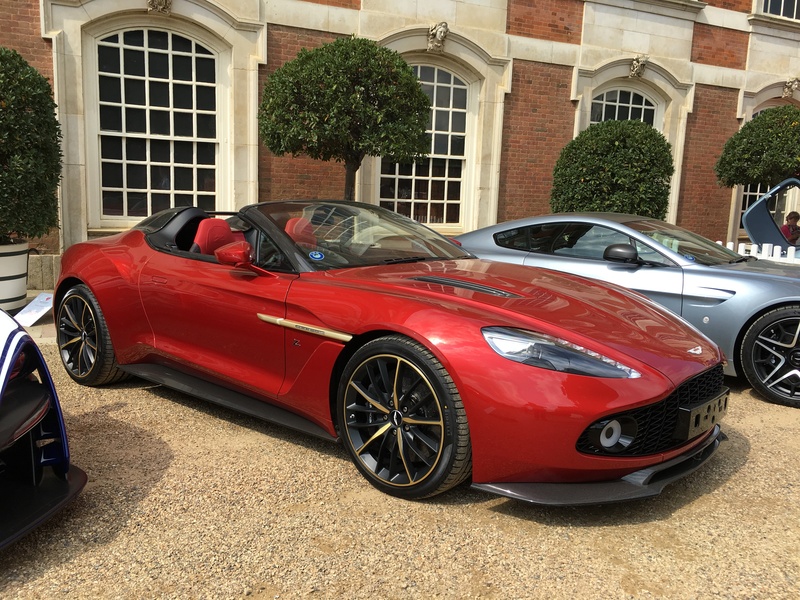 The Aston Martin Vanquish Zagato Speedster, on display here, is the very latest example. The Speedster is one-of-28 due to be built, combining a beautiful hand-crafted open-top body with the 592bhp 6.0 litre V12 found in Aston Martin’s Vanquish. 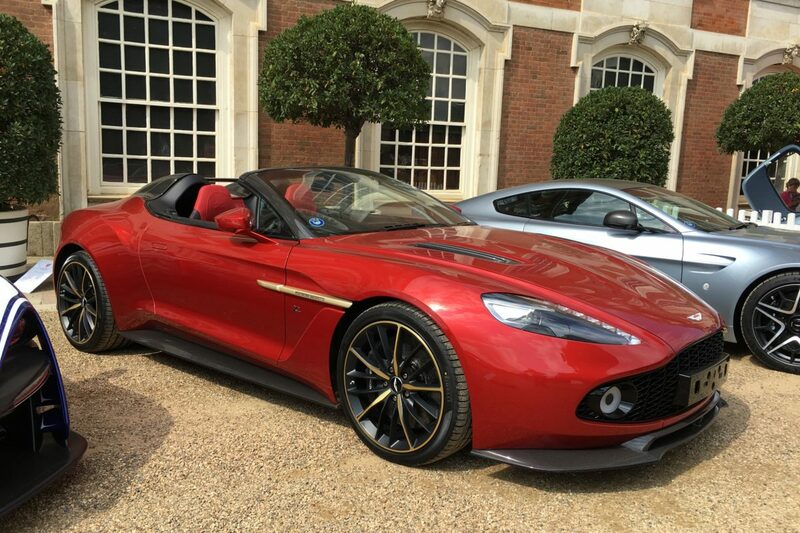 It’s also part of a family of Vanquish-based Zagato models, including Coupe, Volante and Shooting Brake. We think it’s gorgeous, what do you think? 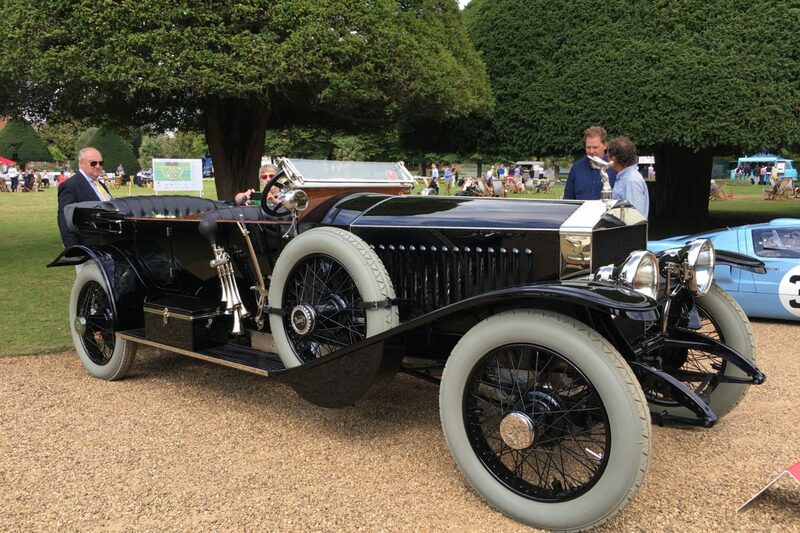 There were so many more beautiful cars on display. I cannot praise this event enough. I love it. 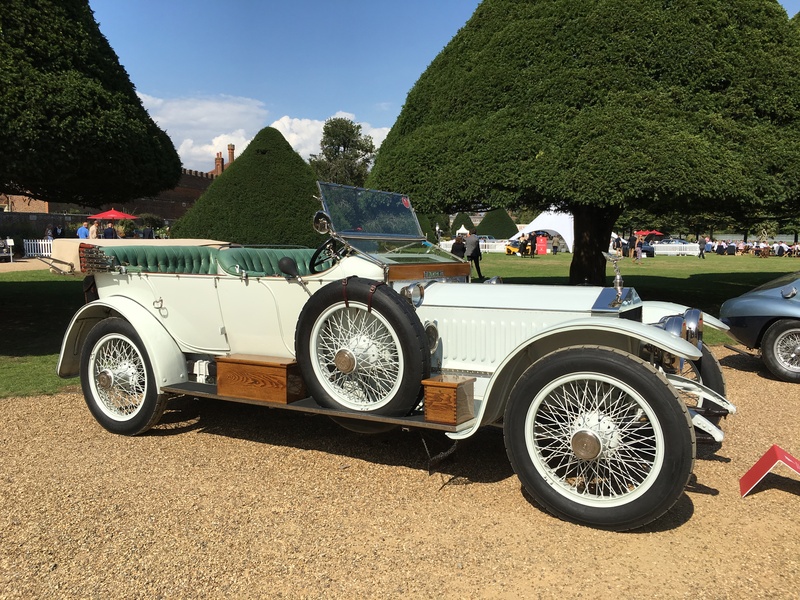 All our photos from the Concours of Elegance 2018 can be seen here on our Concours of Elegance Album and loads more videos, postcards and other information here.